The Uganda Book Market rocks Kampala literary scene. Uganda Book Market rocks Kampala literary scene. The Uganda Book Market, a new initiative bringing together the Ugandan publishing and reading community, is rocking the Kampala literary scene. The Uganda Book Market is a space aimed at giving exposure to creative works and other trade books in Uganda and a platform for interaction among publishers, writers, book traders and readers. It is a monthly market held at The Uganda Museum where publishers exhibit their wares to readers in the East African nation. In addition to the exhibition, the market also has panel discussions, book signings, public readings, book launches and poetry recitals. The Uganda Book Market is brought by a consortium of literary organizations promoting creative entrepreneurship and marketing of African Literature. These organizations include Femrite (Uganda Women Writers Association), Centre For African Cultural Excellence (Writivism), The African Studies Bookstore, The Uganda Society, Lantern Meet of Poets, and Turn the Page Africa. The first edition of the book market was hosted at the Uganda Museum in Kampala on Saturday May 26, with all the collaborators on the project turning out. Here are some images from the event courtesy of Turn The Page Africa and The African Studies Bookstore. 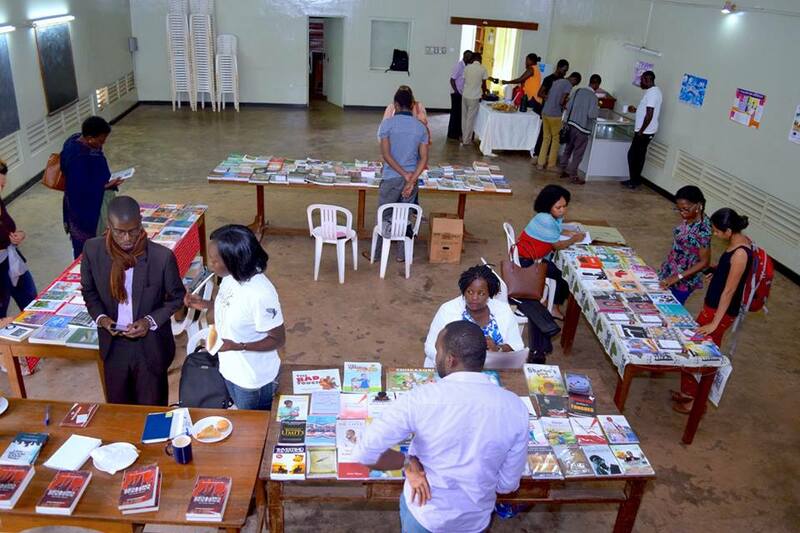 The second edition of Kampala Book Market will take place at Uganda Museum on Saturday June 30 and will feature over 15 Ugandan writers and many book exhibitors. There will be a grand book signing by the authors themselves. If you are in the area on the day, please swing by and get your favourite books at very favourable prices. Previous Previous post: Morland Writing Scholarships for African Writers 2018 open on June 30. Next Next post: Open Book Festival 2018 set for Cape Town in September.